In this fact sheet, students will start to learn about the two kinds of playhouse in Shakespeare's time. 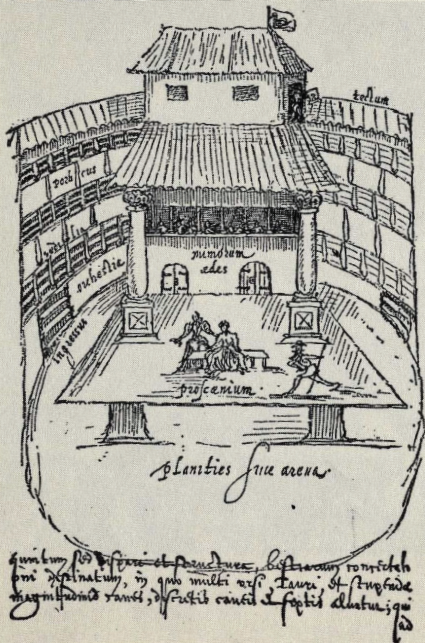 There were two different types of playhouse in London during Shakespeare’s time. There were outdoor playhouses, also known as ‘amphitheatres’ or ‘public’ playhouses, and indoor playhouses, also known as ‘halls’ or ‘private’ playhouses. These were very different theatres that attracted different types of audiences. Where was the first playhouse built? The first playhouse, the Red Lion, was built in 1567 by John Brayne. He converted the Red Lion Inn, in Stepney, outside the city walls. There is little evidence of how successful it was, but the demand must have been there, because many more playhouses opened between the 1570s and the 1620s. Where were the next playhouses built? In 1576 Brayne and James Burbage built the Theatre, just outside the city walls. Burbage was an actor with the Earl of Leicester’s Men, who played in the Theatre for its first two years. Newington Butts theatre was built to the south in the same year. In 1577 the Curtain was built near the Theatre. After this, five more theatres were built and companies also performed regularly in the yards of several London inns. Not all theatres had performances of plays regularly and some theatres were also used for other types of entertainment. Shakespeare’s company played at both the Curtain and the Theatre, as well as the Globe. They also played at Court for Queen Elizabeth I and then later for King James I, as well as touring and (after 1609) during the winter played at the Blackfriars indoor theatre. Why build playhouses south of the Thames? Playhouses drew big audiences, but they were not popular with everyone. The officials who ran the City of London thought that playhouses were noisy and disruptive, and attracted thieves and other ‘undesirable’ people. So people built playhouses on sites outside the control of city officials. This meant outside the city wall, in most cases. The south bank of the River Thames was outside the city and already had animal baiting arenas, brothels and taverns where people could buy food and drink. So people already went there for entertainment. 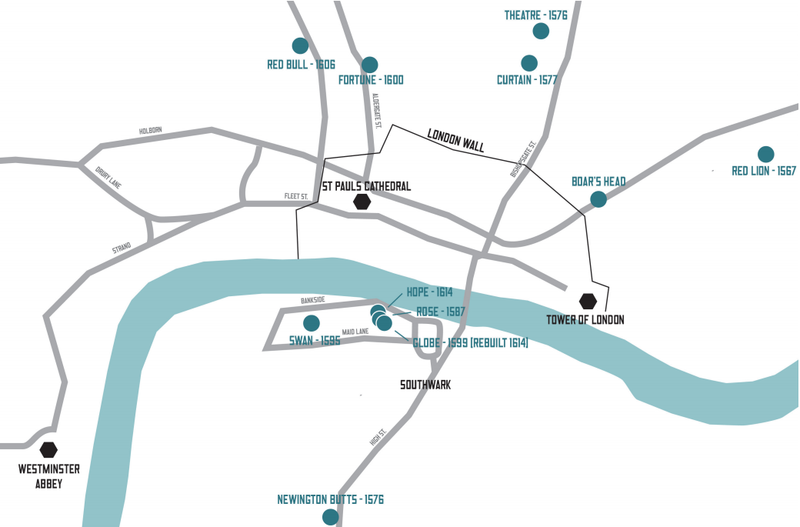 This map shows the outdoor theatres and inns where plays were regularly performed in Shakespeare’s London. What did the outdoor playhouses look like? galleried seating all around the yard, on several levels, which was roofed. Playhouses were sometimes built by businessmen who saw the rising popularity of the touring acting companies that played in the yards of inns and other open spaces around the city. They had money to spare, while the acting companies did not. So a businessman leased some land, built a playhouse and leased it to acting companies for a set number of years. The company paid the playhouse owner a share of the takings; usually half the income from galleries. What were playhouses made of? Most playhouses had a brick base with timber-framed walls. The gaps between the timbers were filled with sticks, hair and plaster. The roofs were made from thatch or tile. Can you find out what happened to the first Globe theatre in 1613? What was the roof of the second Globe made from? A 1595 sketch of a performance in progress at the Swan, by Johannes de Witt.